Every child can be a good author of school or college papers, but only if parents encourage him or her to develop their own skills. 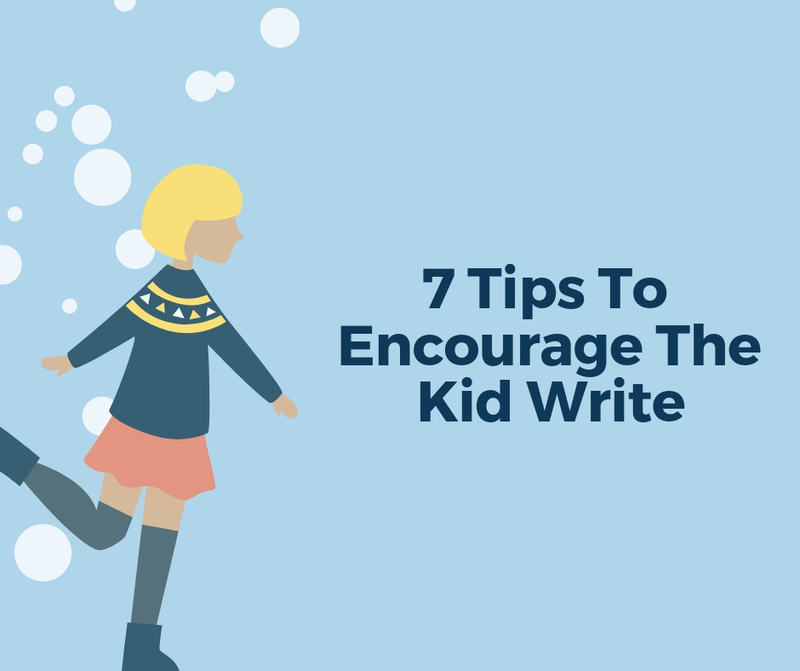 It’s well-known, that most kids have great imagination and fantasy to describe anything, but sometimes laziness, uncertainty, and other things stop your young author from coming up with a good story. That’s why the task of each and every parent is to help children and motive them to write. There are several useful tips from college paper writing service on how to make good lessons for kids and gain brilliant result. What do kids like the most? They adore games and animated characters. That’s why it would be great to make the writing process similar to a game. This type of activity has rules to follow, which helps to balance the good leisure and education. Games have always been a great teaching technique. Such an approach helps to set free the inner feelings, creative potential, and develop skills. That’s why sneaking writing into game and practicing at home are great options. This way every parent feels great responsibility, because he or she executes the role of soft of a coach, whose obligation is to teach, encourage, and motivate their mentee. So first of all, you need to understand your task. As studies show, grammar and spelling are not the main goals. Parents must pay attention to developing kids’ attitudes, outlook, and ability to express feelings. 1. Begin the game. Just tell your kid what you are going to play together, no need to mention that you’ll be writing something. 2. Choose the topic. The best idea is to choose the subject your child is excited about. 3. Proceed with conversation. Talk about the topic, ask questions, let the child describe their feelings, listen carefully. 4. Make notes or drawings. This will help your kid easily remember ideas you came up with together. 5. Writing part. Since this is a useful game, not an exam, you can either do some dictation or let your kid do some writing based on what you discussed, and found out while playing. 6. Showing your approval. Don’t forget to praise your mentee for good work (no matter how you actually asses it). Also, put the writing in plain view, for this is something to be proud of! This approach is exciting and fun, which will definitely help your child express their ideas in writing. Just remember to make your ‘games’ short and consistent. Here are some more interesting games you can use to encourage children to write. – special dishes with short words, etc. There are many options, how to play with food, so you will never lack of ideas. In addition, children adore eating something fun and delicious, so such game will definitely motivate them to write and eat more wholesome food. Imagine your kid and you are trapped on a deserted island, just like Robinson Crusoe. Your task is to write the word ‘help’ in an unusual way, without pencils and paper. You have only your hands and surrounding in your disposal. If you are in the park, you can use leaves and grass. Playing at the beach allows you to use shells, sand and water. The variety of options is even bigger if you stay at home. Start with one word and continue with the entire sentences. Surely, if you don’t lose excitement and have enough stuff around. You’ll definitely have fun, and the game will help your child develop good attitude to writing. This game requires not much stuff: the ball, tape, some pieces of paper or longs stripes. The task for both of you is to write several commands on the paper, where you’ll ask another player to make some kind of movement or noise. Notice that you shouldn’t spy in each other’s papers while writing. – Sound like a cat. Then it’s your turn to go outside and wait your kid tosses the ball. To start the game you need to tap the strip on the ball. When your child gets the flying message, he or she executes the task, tapes the strip on the ball, and throws it to you. You can play the game until there are no more messages left or forever. Writers need different skills to make good papers. One of them is ability to alternate between good and bad situations to demonstrate changes in story. To develop such a skill you can play with your child a special game. Both you and your kid get one sheet of paper to write sentences. You need to divide it into two parts and mark each column with words ‘Fortunately’ and ‘Unfortunately’. Then ask your child to imagine your trip to the unknown country and describe it with a series of opposite statements. ‘Fortunately, we went to Disneyland to see real magic. Unfortunately, it was raining first half of the day. Fortunately, we had big umbrella to cover all the family’. Continue the story till you come up with a happy end. Suggest that you kid tries being a blogger for one day. Blogging is so popular today, he or she will definitely get inspired. It’s not a big deal in terms of preparation. Just give the kid a photo camera and let them make the photos of anything they want during the day. Then print the, pics and talk about why they chose to make these pictures, what the objects in pictures mean to them, what they felt while taking a picture and what were the reasons. Help a kid make a book with the photos and there story. Decorate it the way you like and keep it as a memory. Not only will it be a reminder of the great time you spent together. Talking about the child’s feelings, ideas, attitudes is crucial in developing their personality, as well as imagination and writing skills. This is a great game for all the members of your family. You can write notes about anything you want and store them in a box. The more years pass, the more precious your capsule will be. Usually such a box is meant to be opened in 10, 20, or even 50 years. Tell your child to write something that is valuable for him or her at the moment. It could be favorite a toy, some happy moment, wishes, etc. Then find a proper box, place there all your notes, mark it with warning ‘Do not open till 2028’ and leave it in safe place. Be sure, the process of writing notes will be exciting, and the entire family will be happy to open the capsule in years. Most children want to rule the world. So let your kid do it! Imagine, that elections were held and now the power in his hands. But to start using powers the speech is required. So your kid’s task is to write a good speech, which can encourage people. In addition, you can make the task more complex and interesting. Ask your child to choose the outfit, hairstyle, personal symbol of the power, the full name, etc. You may also use additional stage property, such as tribune, name badge etc. All these games will definitely help you to encourage your children think, write, and be creative. Remember, that your task is to create an exciting game, but not make your kid do a chore. Make sure, that writing is an interesting process, but not an obligation. – Give you child some time. Writing skills may be inborn, but sometimes they have to be developed, which does not happen instantly. – Give your kid feedback. Try to praise his or her activity and give pieces of advice on how to write better. – Help with writing, but do not write yourself. This won’t help you kid gain writing skills. – Do all the tasks together. Your help will be very useful, so demonstrate your support. – Motivate to practice. Practice is crucial for learning something new. Writing is a really useful skill for children, because they will definitely face with numerous tasks to create academic papers in the future. School, college, university, and even work require everyone to know how to express themselves. That being said, remember that being involved in education of children is an obligation of every parent, but don’t get too overwhelmed or bossy. After all your kid is already a personality with some innate talents and skills. So if you clearly see that writing is a real challenge for you child, don’t exhaust him or her with exercises. A good essay writing service like Tutoriage.com is the best solution in this case! “James Murphy is essay writer that is fond of writing about various spheres of life. The most recurring themes he covers are education, writing and marketing.